Before I visited Japan, I imagined the entire country to be filled with crazy fashions and cosplay, maid cafes and trendsetters. On arrival in Tokyo I quickly learned this was not the case. Salary men in near identical suits and briefcases walked the streets at a clipped pace. Elegantly but somewhat conservatively dressed women were the norm, not the zany fashionistas I imagined. It turns out that my (completely inaccurate) image of Japan can actually be found in a small district in Tokyo called Harajuku. 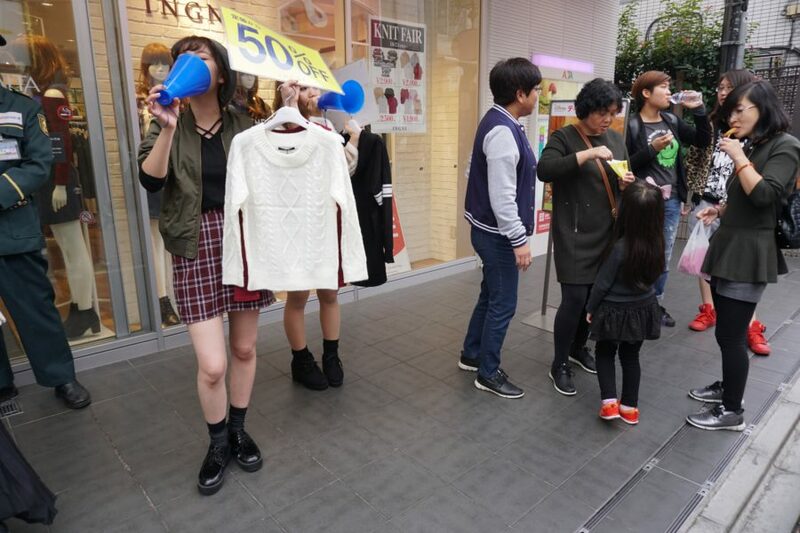 In Harajuku, youth culture reigns and shops cater to fashion-forward teens. 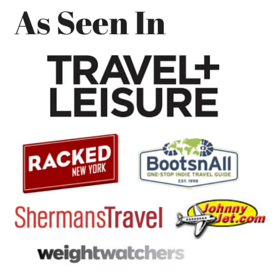 Here you’ll see anything and everything– from costumes to off-beat fashions to new food trends you won’t see anywhere else. But even though Harajuku is a younger area, it’s not an intimidating place to go as a full grown adult. 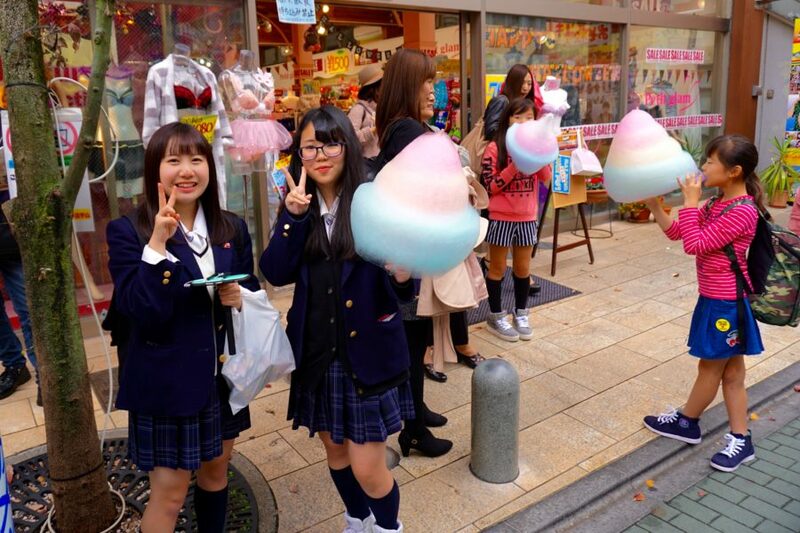 In Harajuku, the teens aren’t sullen rebels, but fun-loving and polite, all are welcome here. 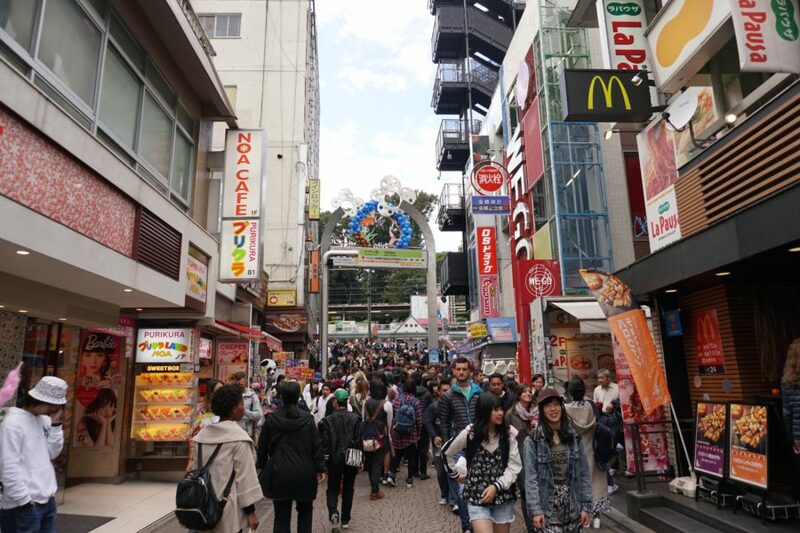 To experience the Harajuku culture and shops, head to the main shopping drag, Omotesando Street. Omotesando Street, the main shopping street in Tokyo’s Harajuku district. 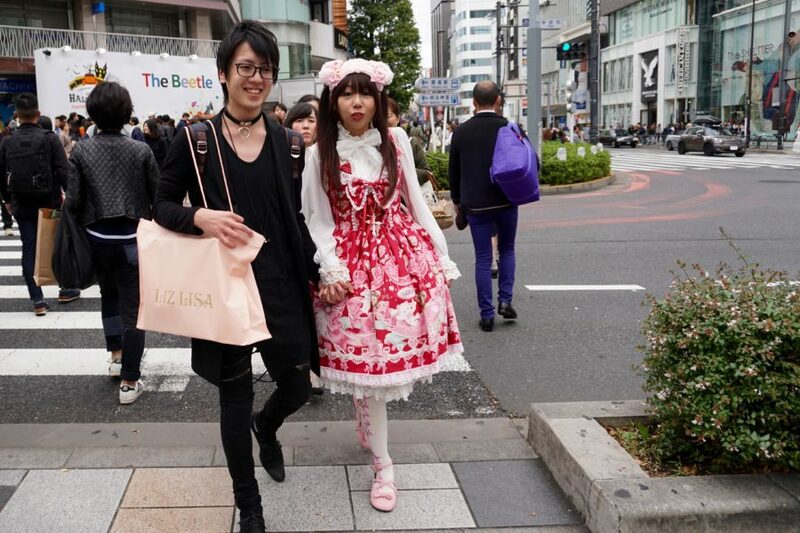 To see Harajuku cosplay in full force, visit Harajuku on a Sunday, where you might see young Japanese dressed as anything from Little Bo Peep to anime characters. We visited on Saturday so I felt lucky to spy one fully-decked out young woman. Japanese dressed in Cosplay usually love to be photographed, but make sure you ask first. 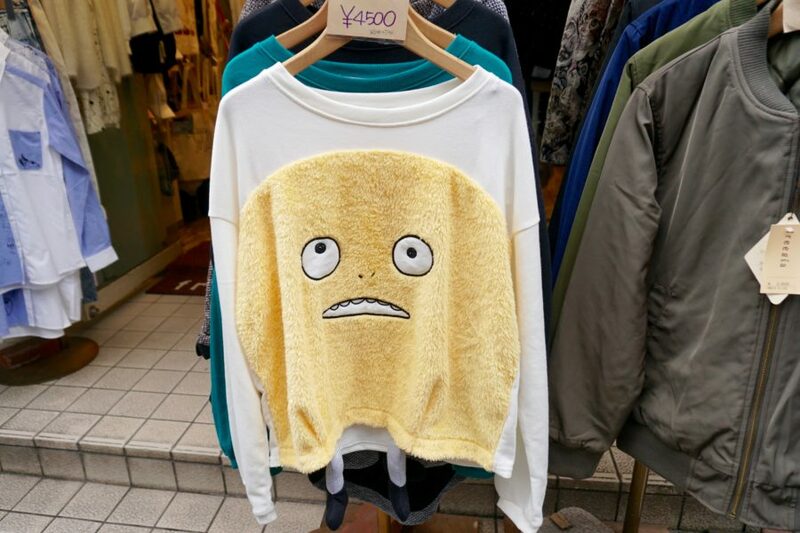 Shopping in Harajuku ranges from fairly typical teen clothes to wacky trends to just plain weird things that I could figure out no purpose for. 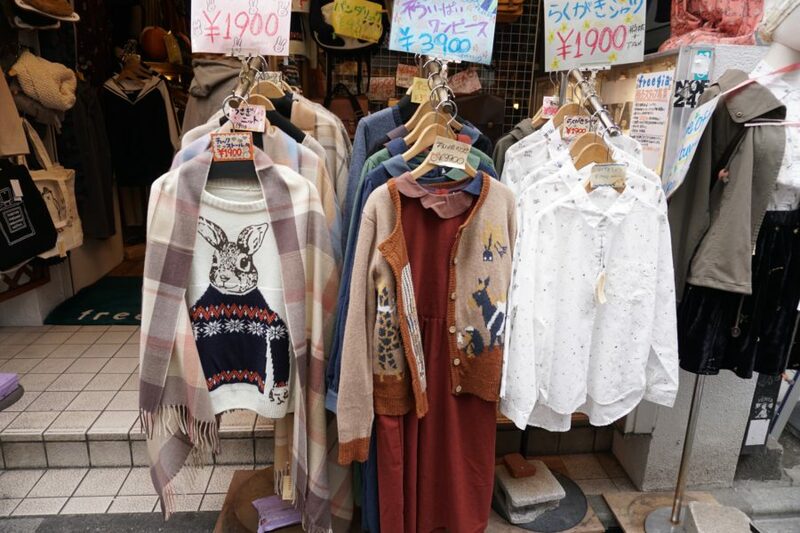 Here’s a sampling of what I saw in the shops along Omotesando Street. 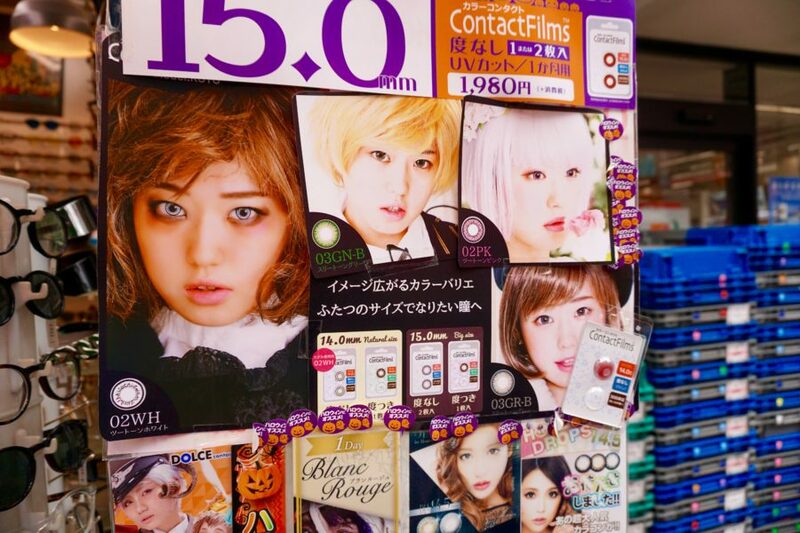 I was surprised to see an entire Harajuku shop dedicated to colored contact lenses. The lenses here though aren’t just your expected blue and green, they also sell less common eye colors like purple and blood. Shop attendants shout deal from megaphones (something I found somewhat common in Japan, everywhere from in train stations to supermarkets). Come hungry to Harajuku because there are all sorts of fun and tempting treats you will be compelled to try. We bought one of these giant cotton candies (about $8 US) for a photo opp, but promptly tore it shreds and devoured it. I regret not trying the frozen popcorn. Crepes are incredibly popular in Harajuku– I saw school children lined up at several competing stand. 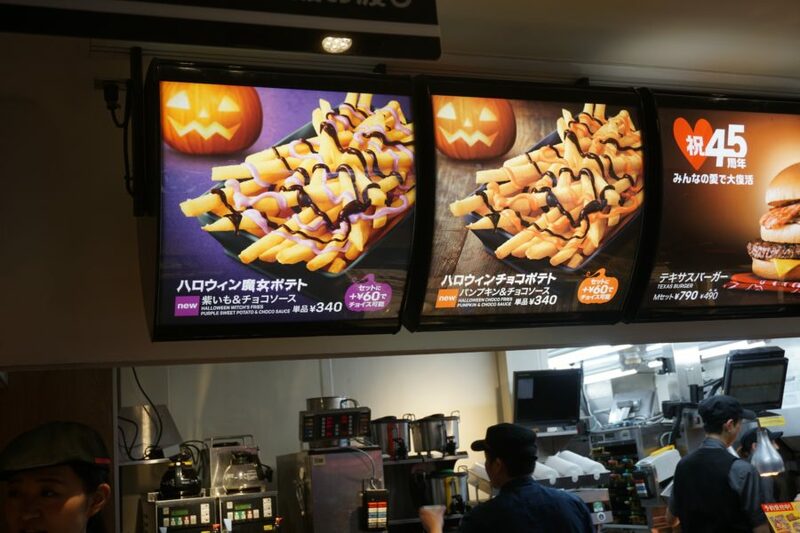 Even the McDonalds in Harajuku had off beat offerings. 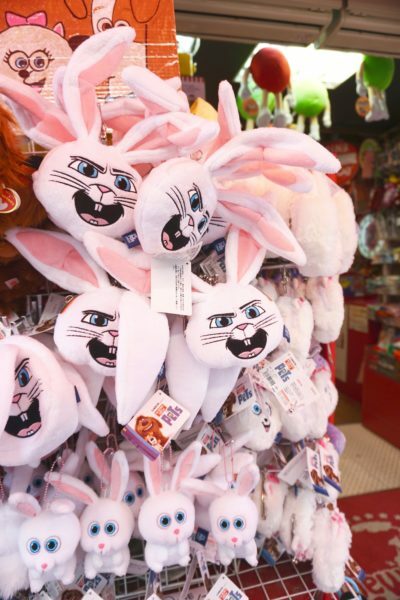 Have you visited Harajuku? 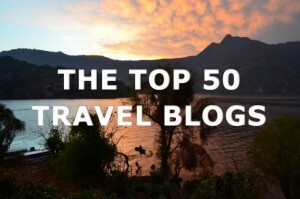 Tell us about your favorite finds in the comments! Disclosure: my visit to the Kanto region of Japan was part of a press trip hosted by JTB, however all shopping picks are my own.